IS SO EASY TO BUY AT PISAMONAS! 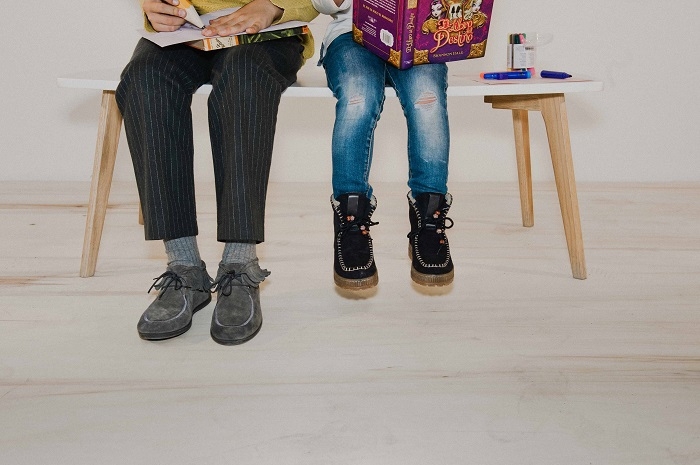 At Pisamonas, we know that what really matters is spending time with your family. That's why our aim, once you've picked your favourite products, is to make the purchasing process as quick and easy as possible so that you can make the most of the rest of your free time having fun with your loved ones. With that in mind, we're going to explain the steps you need to take to place an order easily and successfully! Choose the payment method under the "Payment methods" section while you order. You will be able to choose between: Credit or debit card (Visa, Visa Electron and MasterCard): the fastest and most comfortable payment method. The details provided by the customer will be hosted on a secure server of Banco Sabadell. Under no circumstance will Pisamonas learn about the customer's bank account or credit card details nor will they be recorded in any database and therefore the purchase process is completely safe. Bank Transfer – this method will take a few days to complete. PayPal, with a small 3% surcharge charged by the service provider (min. 0.90£), for those who prefer to pay by Paypal. -The products available at the online shoe store www.pisamonas.co.uk are classified in CATEGORIES, when you click on each category on the left or top of your screen the sections in each category open, so that you can see all the types of shoes available. To read the descriptions, see the pictures and check the available sizes and colours, just click on each model. BROWSER You can also look for the products you are interested in by using the SEARCH bar, which is on the top right of the HOME tab, or clicking on the BROWSER banner on the bottom centre, where there is a logo of a monkey holding a magnifying glass. Try writing words associated to the type of footwear you are looking for and the BROWSER will show the options available for your search. MY BASKET This is where the products you wish to buy are saved, and it appears on the top right of your screen. You will be able to check all the products you have selected whenever you want to by clicking on "MY BASKET" on the logo showing a bag. Once accessed, you can empty all the contents or select them individually, and finally place your order and complete the purchase. BUY To complete the order you will have to access MY BASKET and click on "PLACE ORDER." You will then have to choose your preferred payment method and give your billing and shipping details. You do not need to be registered to buy at Pisamonas, but if you are, the process will be faster and easier. 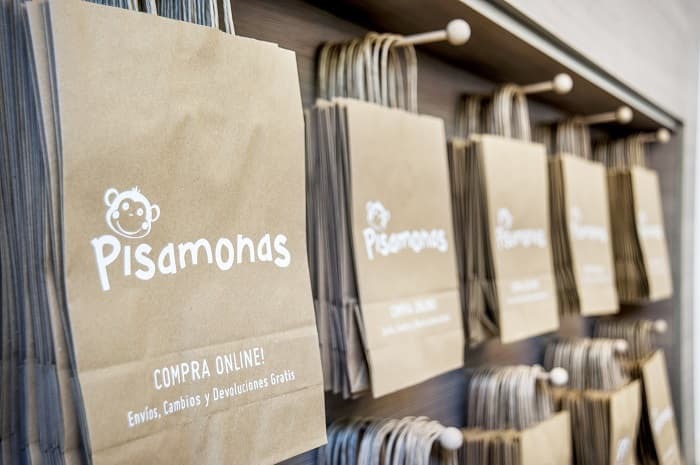 The purchase process at Pisamonas follows three main steps: - Registering as a user, which is voluntary and through which you will be able to enjoy the advantages of becoming a Pisamonas Club member and its discounts of almost 4% as well as access to associated giveaways, and your online purchases will be faster and easier. If you prefer to, you could also buy as a guest user without registering first by simply giving us your personal and delivery details at the end of the purchase process. - Shopping basket: you can fill your Basket, which will always be visible on the top right of your screen, while you browse our webpage and its different categories with shoes and accessories. Have a look at our different shoe models and if you see something you like just click on it and add it to your Basket while you carry on navigating. - Order processing: once you have finished choosing your favourite footwear and are ready to proceed with your purchase, click on PLACE ORDER at your Shopping BASKET section. Fill in your details for your chosen payment and delivery methods and your order will be confirmed. We will then send you an e-mail with all the details for your reference. Buying at www.pisamonas.co.uk, is as easy as this!!! !